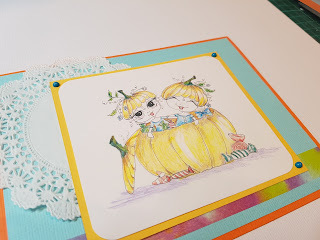 Another weekend and another DT project completed for Hiding in My Craft Room challenges blog. 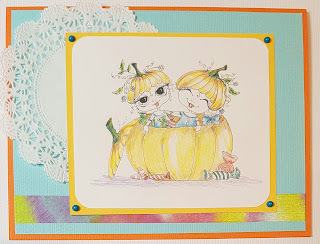 This week's sponsor is My Besties www.my-besties.com and we were given a few digital images/ stamps to work with. 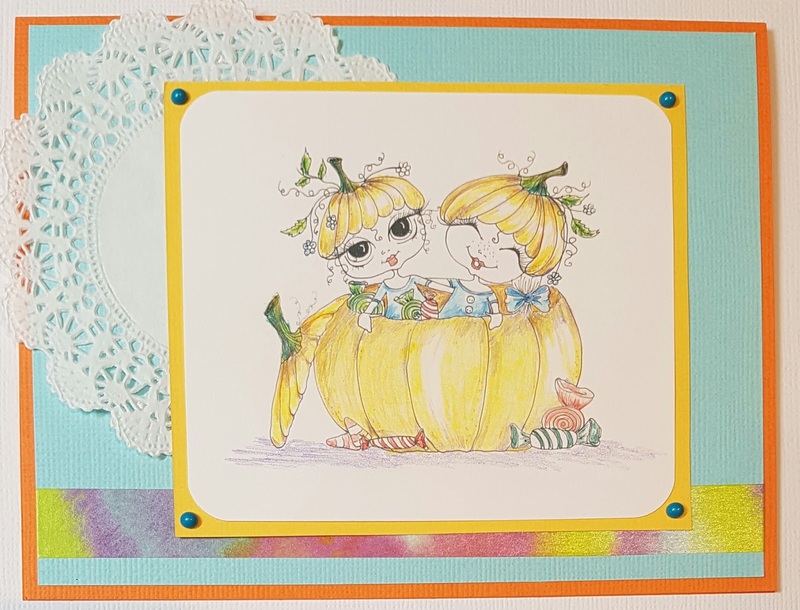 I have created a greeting card with some cute pumpkin girls! i've coloured in the image with colour pencils, mounted on some yellow cardstock. added a doily and some washi and used blue cardstock as a background. I've added some pearls with a liquid dimensional paint by Viva Decor - Pearl Pen in Turquoise colour. Don't forget to check out the challenges blog and show us your creations!